Guyonne Le Louarn is the assistant principal viola with the Vancouver Island Symphony and is on faculty at the Victoria Conservatory of Music. Guyonne also teaches at Shawnigan Lake School and is the coordinator of the Independent Music Program at St.Margaret’s School. 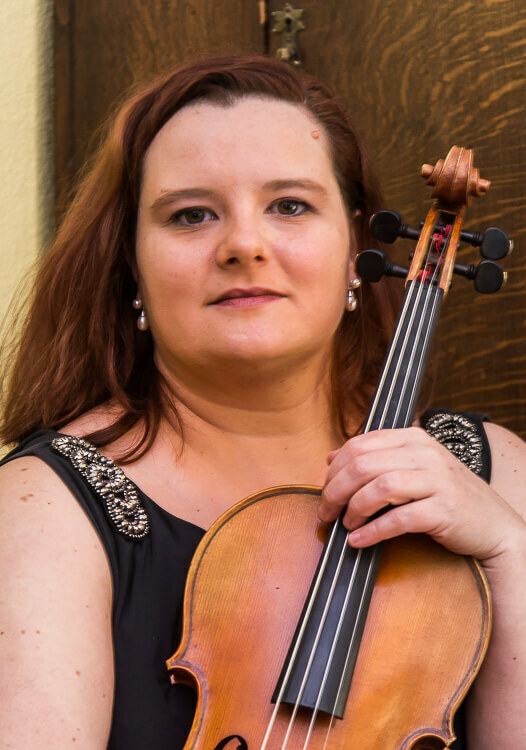 Guyonne holds an AVCM from the Conservatory of Music (Victoria) in viola, violin and chamber music coaching, a Silver medal from the Conservatoire Supérieur de Paris (France) in viola and multiple gold medals and diploma from the Nantes Conservatory, in violin, viola, chamber music, theory, conducting and early music. She maintains a busy career as a soloist, chamber and orchestral musician. She has won numerous competitions both on France and Canada. As a freelance musician, she has performed with many orchestras, including the Victoria Symphony Orchestra. Her performing career has taken her all over Europe and Canada and as far as Oman. For the past 20 years, Guyonne teaches Viola, Violin, and Chamber Music to students of all ages and levels both in English and French.